As we give thanks on November 28th, it's important to remember all of the farmers, ranchers, and artisans who work tirelessly to bring high quality food to our tables. To properly give thanks, we encourage you to purchase as much local food as possible when planning your holiday meals. Eating local can be good for a lot of reasons. At Rafns', we choose to support local growers and food producers because we enjoy building relationships with the people who grow our food. Those relationships lead to a better understanding of our food sources, and a real influence on how the food is produced. 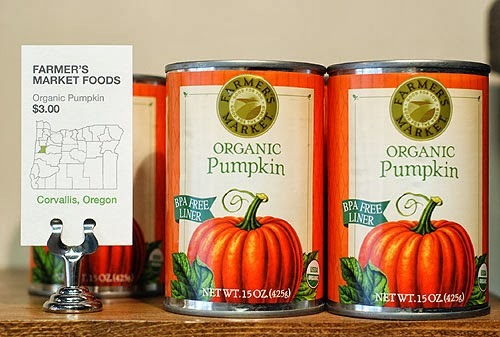 There are so many innovative food creators here in Oregon, and we are proud to bring their products to our shop! Buying local foods for Thanksgiving dinner is easier than you may think. Here at Rafns', we source around 95% of our products from right here in Oregon. We're happy to help you plan a memorable Thanksgiving meal with some really unique local products. We also encourage you to shop at these other fine retailers. They each do a great job of sourcing high quality products, including some great local stuff!